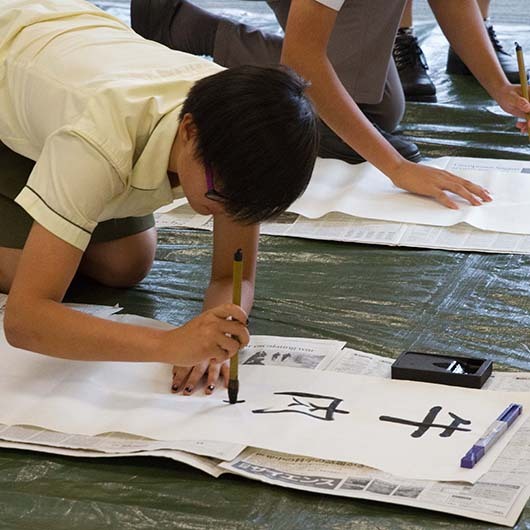 The Japan Foundation, Sydney offers language and culture based workshops, designed to encourage and excite students about learning Japanese. Centre Visits allow students to apply their language skills and extend their linguistic and cultural knowledge beyond the classroom environment. Centre visits are free of charge. We accept groups from Years 3 to 12, of no more than 30 students. Groups do not need to be studying the Japanese language to get the most out of this experience. 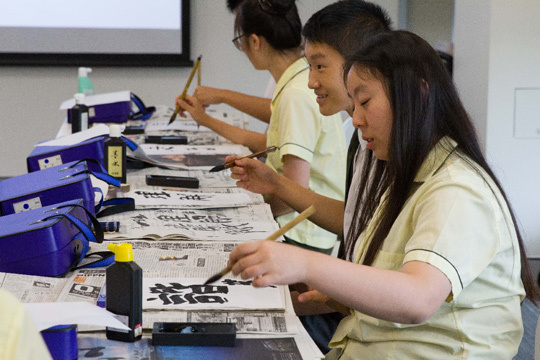 Our programs can be tailored to classes looking to learn more about Japan as part of the Australian Curriculum’s cross-curriculum focus on Australia’s engagement with Asia. What kinds of workshops are available? Led by a professional Japanese language consultant, our workshops focus on Japanese culture and society and run for 1-2 hours. A wide variety of traditional and contemporary topics are available. Our staff will get back to you to confirm our availability and to discuss workshop content. Where can we have lunch and recess? Lower Ground level (LG) and Level 2 (L2) of the Central Park building are spacious food courts. * Please note that students are not permitted to eat or drink in the JPF Sydney centre. While they’re here, students can also visit our Library and Gallery (as long as we have a current exhibition) for free. Our Library houses more than 17,000 items, providing useful resources for teachers and students alike. Our Gallery hosts a variety of Japan-related art exhibitions, featuring contemporary and traditional works, throughout the year. Centre Visits are free of charge. Where is The Japan Foundation, Sydney? We are located in the new Central Park complex in Chippendale, opposite UTS. Access to Level 4 is via the lifts. Our office is a short walk from Central Station and the Railway Square bus interchange. We strongly recommend groups to come by public transport. If you are coming by private coach, please let us know in advance. Centre Visits are open every weekday, except for Australian and certain Japanese public holidays. Please contact us for booking availability. Can we cancel our visit? Yes, please inform us as soon as you know of any changes to your booking.